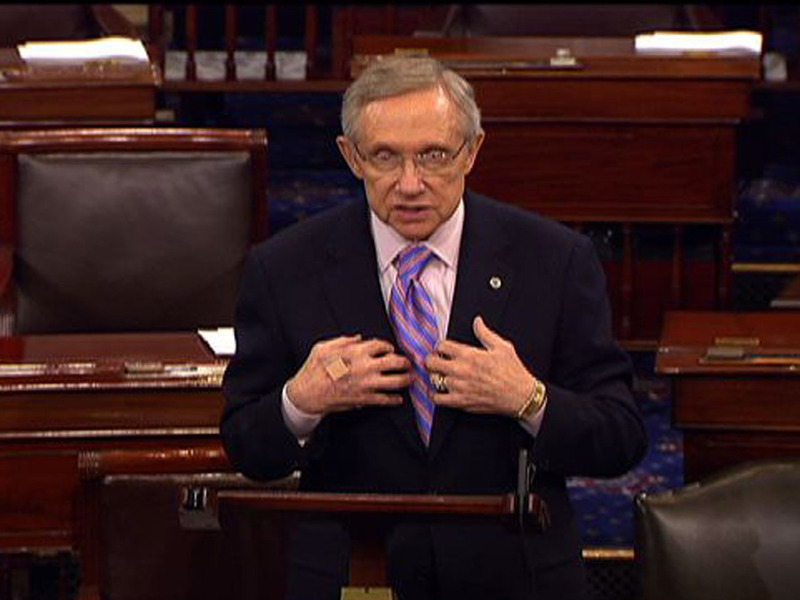 The nonpartisan Congressional Budget Office announced Wednesday morning that Senate Democrats' plan to raise the debt ceiling would save the nation $2.2 trillion over the next ten years -- $500 billion less than Senate Majority Leader Harry Reid claimed when he introduced the plan. The news follows the CBO's report late Tuesday that the House Republicans' proposal also fell short of claims: The CBO said that plan, which is broken into two steps, would initially save only $850 billion over a decade, not the $1.2 trillion claimed by House Speaker John Boehner. (The plan would seek more spending cuts in about six months.) Boehner decided to retool his plan following the CBO report. Though the Reid plan fell short of claims, the CBO score is something of a victory for Democrats, who can now claim their plan saves $1.35 trillion more than the original Boehner plan. Still, it's worth examining the fine print. First and foremost: The Reid plan claims about $1 trillion in spending cuts tied to the drawdowns of the wars in Iraq and Afghanistan. While CBO accepts these claims as legitimate cuts, the U.S. is already planning to wind down these wars. If you don't count the savings from the drawdowns - and critics say you shouldn't - then the Boehner and Reid plans are not quite so far apart. The original Boehner plan, which is supposed to raise the debt ceiling $900 billion (in its first step), also fails to meet the demand for cuts greater than the debt limit increase, since the CBO said it would only save $850 billion.